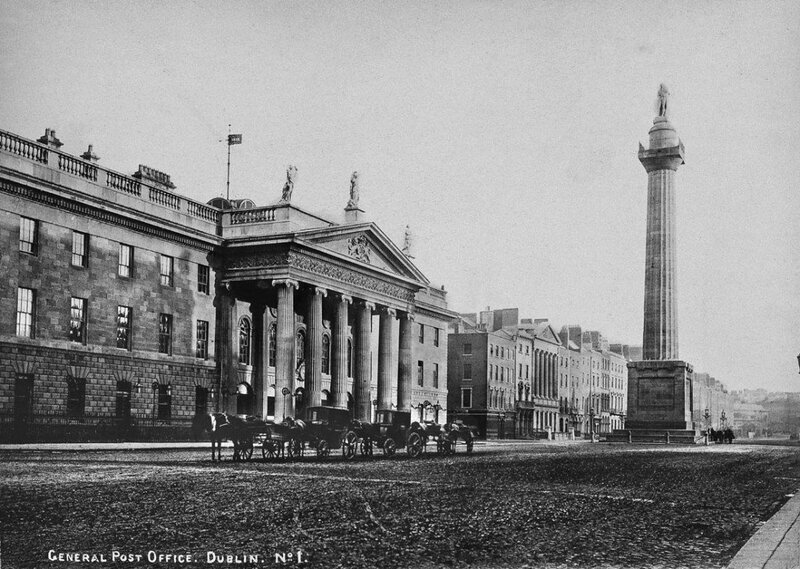 Dublin’s General Post Office (GPO) is indelibly associated with the 1916 Rising and the events that led to the creation of an independent Irish state. The stern grandeur of its façade, Irish flag flying proudly aloft, is an image that evokes a justifiable sense of heroism and nationhood. In the course of its long history, the GPO has witnessed much more than the events of Easter Week. The foundation stone was laid by Lord Whitworth on the 12th August 1814 with £60 spent on entertainment for the occasion. 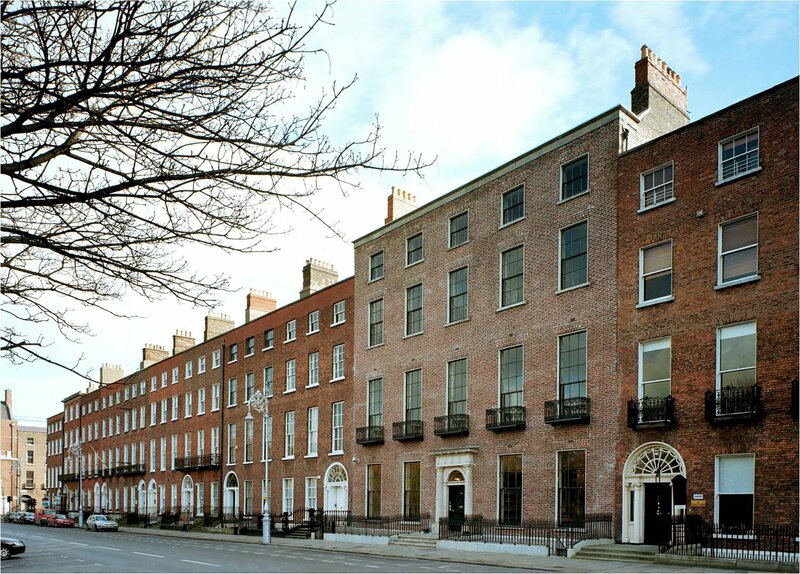 The architect was Francis Johnston whose considerable abilities place him in the first rank of Irish architects. In Johnston’s GPO, Dublin gained a building that was, in the words of one contemporary, ‘commodious, well arranged… and highly ornamental to the city’. 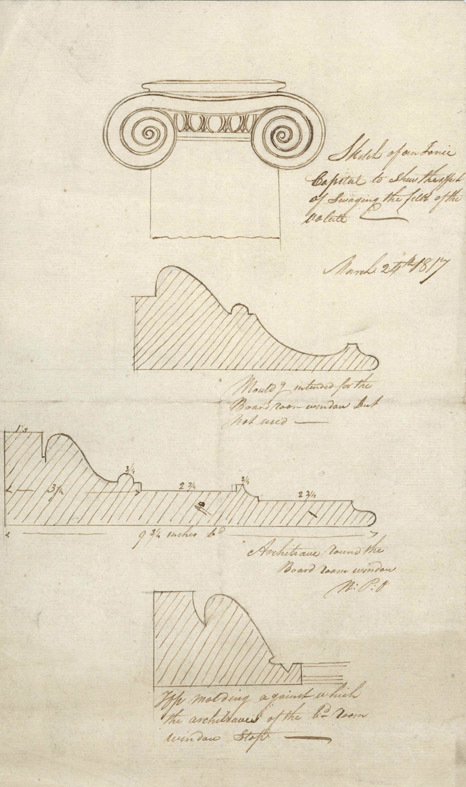 Sketch designs for Ionic capital and window mouldings. Francis Johnston, March 1817. 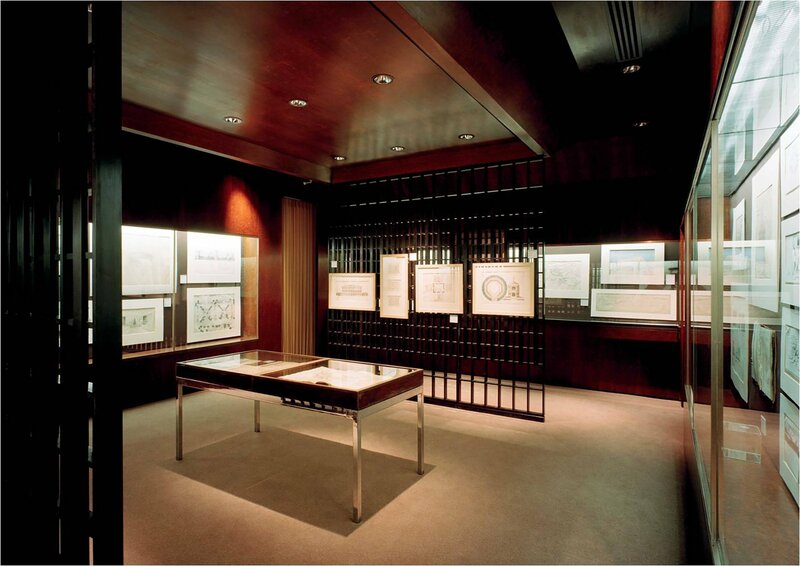 RIAI Murray Collection, IAA. The novelist, Anthony Trollope, who arrived at the GPO’s doors in 1841, had more on his mind than the building’s architectural features. Branded ‘worthless’ by Post Office officials in London, he was sent to Ireland where Hibernia, standing on the GPO pediment, obviously took a liking to him for he quickly built a reputation as a highly capable employee. 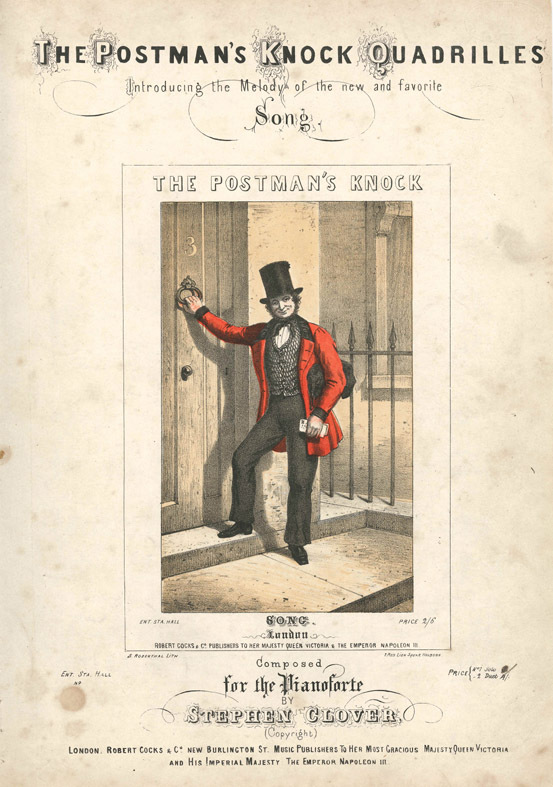 As the century progressed, Trollope and his successors in the GPO presided over an organisation that – through mail, financial services, telegraphs and telephones – touched the lives of countless people every day. The building became the centre of communications in Ireland and, for some, an unacceptable manifestation of British influence in the country. Its occupation on Easter Monday 1916, therefore, had both a practical and symbolic purpose. The GPO was almost totally destroyed in Easter Week 1916. 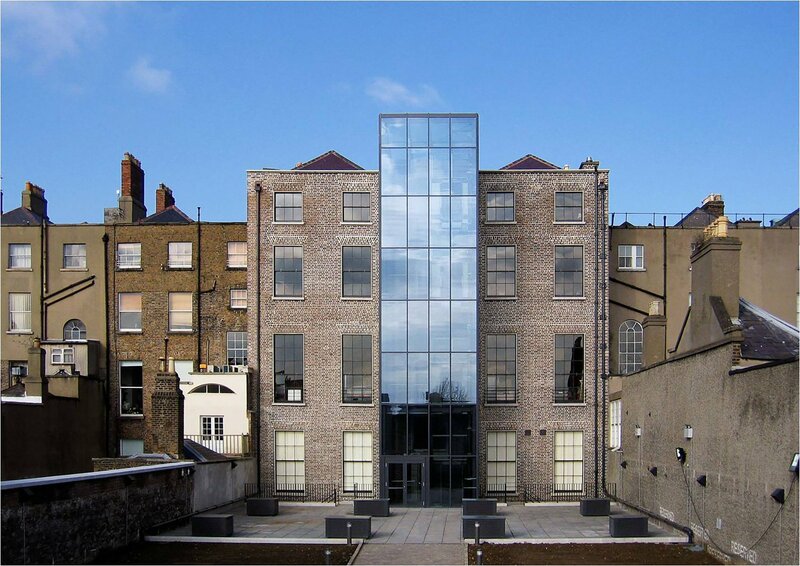 Behind the portico and original O’Connell Street façade, reconstruction and extension of the building was undertaken from 1925 by an OPW team led by T.J. Byrne who introduced the GPO Arcade, studios for Radio Éireann on the Henry Street wing, and the Central Telegraph Office in the Prince’s Street block. The enlarged Public Office, formally reopened by W.T. Cosgrave in 1929, retained elements of Johnston’s design whilst also introducing some attractive art deco features. The grandeur and airy spaciousness of the office, combined with some fine craftsmanship, produced what remains an impressive and rather beautiful interior. 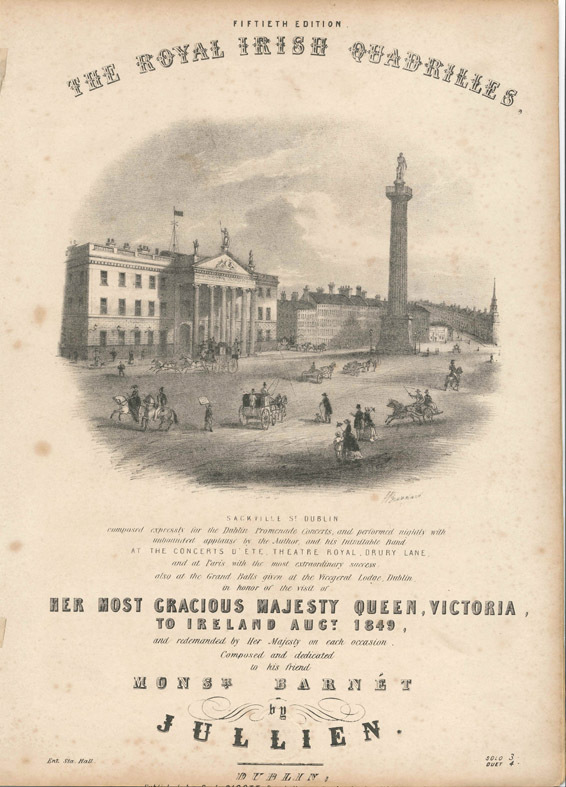 The Royal Irish Quadrilles, 1849. An Post Museum. The postal business throughout the world has undergone great change and buildings which were once the pride of their cities have been sold and turned to other purposes. The GPO is remarkable not just for the special place it holds in Irish history, and for its handsome architecture, but for the fact that – after two centuries – it continues successfully to fulfil its original purpose as the headquarters of the Irish Post Office. A place of business and public service, of remembrance, protest and pageantry, the GPO deserves the unique place it holds in the affections of Irish people everywhere. The Archive would like to acknowledge the help and support provided for this exhibition by An Post.